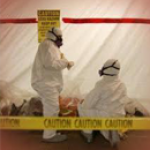 This training provider is approved to teach in Massachusetts and by the EPA. 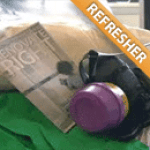 This Lead Renovator (RRP) Refresher Certification course is 4 hours in length and includes both EPA-HUD approved and MA approved lead safety training and re-certification. 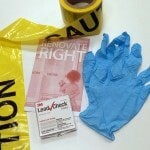 Renew your MA Lead Safe Renovator Supervisor Initial license for RRP work with this 4-hour refresher training course! The Massachusetts Department of Labor Standards (DLS) requires that any contractor who performs renovation, repair, or painting (RRP) work in pre-1978 housing or any child-occupied facility must be licensed as Lead-Safe Renovation Contractor, and must employ at least one Lead-Safe Renovator Supervisor who is on site at all times when lead-safe RRP work is in progress. That Supervisor must renew their certificate every 5 years. This 4-hour Lead-Safe Renovator Supervisor Initial training course refreshes individuals on the responsibilities of supervising an RRP job site, and includes the Massachusetts DLS certification exam at the end of class. Please Note: Students MUST provide a copy of their initial training certificate or card to participate in this refresher class and to receive the RRP training renewal certificate. Please contact your original training provider if you need to receive a new copy of your training certificate. If you have not attended the 8 hour initial course yet, you can click here to view the schedule. Massachusetts certified Lead Safe Renovator Supervisors who are reaching the 5 year expiration date on their training certificate. Individuals must attend a 4-hour Refresher Training class every 5 years to maintain their DLS Lead Certification. If your training certificate has expired, individuals have up to one year to complete the refresher training requirements before they are required to re-attend the 8-hour initial course, however no RRP work can be performed until the license is renewed. Common renovation activities such as sanding, sawing, grinding, scraping or demolishing components with lead-painted surfaces can produce exposures to lead dust and paint chips that can be harmful to adults and children. To help protect against this risk, the U.S.EPA issued the Lead Safe Renovation Renovation, Repair and Painting (RRP) Rule, 40 CFR 745, Subpart E in April 2010. The RRP Rule, which is currently in effect nationwide, applies to renovation, repair and painting work conducted for a fee that disturbs more than threshold amounts of lead paint in pre-1978 housing and child-occupied facilities. Under the RRP Rule, contractors who perform such work must receive Firm Certification from the EPA, employ at least one job supervisor who has completed the 1-day lead safety training from approved trainers, and follow specified lead-safe work practices. On July 9, 2010, the Massachusetts Department of Labor Standards (DLS) received EPA authorization to administer its own standards for Lead Safe Renovation work in target housing and child-occupied facilities, in lieu of the EPA RRP Rule in Massachusetts. Below are the most recent student reviews for previous Lead Safe Renovator Supervisor Refresher - MA Courses. To me, he was very good. I don’t really understand English and he was so good that I passed with an 80 and exam with no help.... To me, he was very good. I don’t really understand English and he was so good that I passed with an 80 and exam with no help. He was very good. Zack Academy is proud to partner with Mary Chabot Training. Please note that this is their company profile, and is not the Mary Chabot Training website. Founded in 2000, Mary Chabot Training has provided Deleading Training Classes for property owners in MA. In 2009, it became one of the first schools certified to present the RRP training in the New England Area. It also became one of the first schools to offer the new Moderate Risk Deleading Supplement that allows contractors to work on deleading projects without the much more stringent training requirements of a licensed deleader. The school very rarely cancels training â€“ Because MCT has its own facility, it will hold classes with a minimum of two students. Our instructors have vast experience as life-long adult education providers.